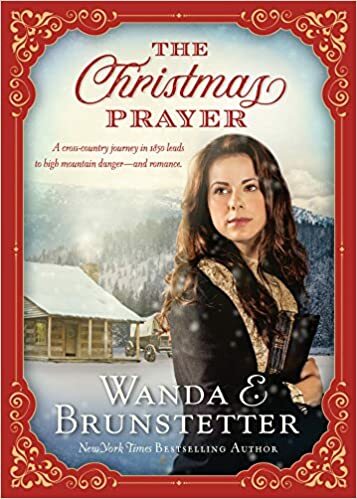 If you enjoy reading Wanda Brunstetter's books you will also enjoy A Christmas Prayer. Many women kept diaries in covered wagons along the trail west. What a treasure if I found one among my grandparents things when I was young. I enjoyed reading Cynthia's accounts in this story while the characters came alive as they chopped wood, argued and learned to work and live together in order to survive under unimaginable circumstance. Each person had a reason for their journey. After months of enduring hardships these reasons shifted. Certain plans were no longer concrete. I enjoyed the resiliency and strength of character as it emerged for Cynthia. She began as a young woman eager to find security with Walter to emerging into a strong woman ready to strike out on her own if need be. We are so used to Wanda Brunstetter writing Amish fiction that this book is a wonderful surprise. I recommend A Christmas Prayer as a gift-worthy book for anyone on your gift list who loves historical fiction and a copy for yourself! A Rumored Fortune Invites A Wealth of Treasure Hunters! 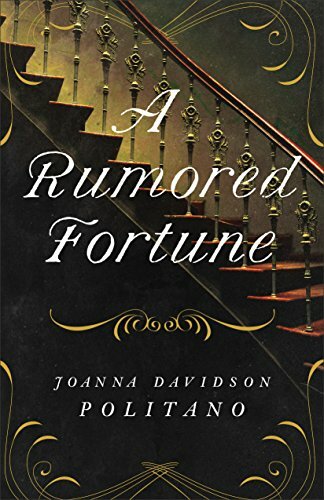 A Rumored Fortune by Joanna Davidson Politano is full of mystery and intrigue. From the opening pages of the book, Tressa Harlowe came to life for me starting when she is summoned home from abroad only to learn her father had died and she was left to care for a mother who was needy and self indulgent. Under normal circumstances it wouldn't be too bad for a family with their wealth. However, her father's fortune was shrouded by mystery and uncertainty and well hidden, leaving Tressa no money to run the large estate. She found new problems at every turn. I liked this book for the strong female character who overcame difficult situations that would leave many a Victorian lady to swoon after the first offer marriage simply for protection. In the end I found her to be a resilient, faithful young woman. Love and fortune are not always found in the usual places and this author provides profound lessons among the pages of viticulturist's journal! I am happy that I was introduced to this author's works by Revell Books who provided me with a copy for an honest review. I recommend it for those who love a good mystery set in Victorian times. Finding an old blue jar in the barn that is filled with slips of paper containing thoughts, quotes, and prayers by an unknown author becomes a boost to Michelle s budding faith but also convicting. How can she tell the truth without hurting the ones she has truly come to love? 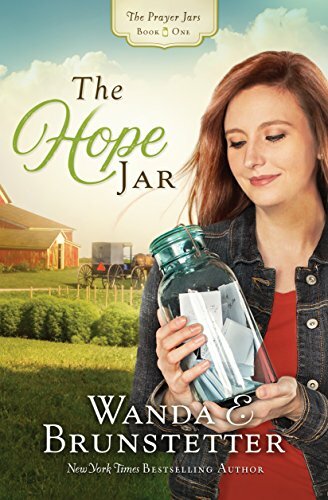 The Hope Jar by Wanda E Brunstetter is one of her best so far. I am excited to see a new series is on the horizon for this beloved author. When I opened the story I connected immediately with Sara. She was so devastated after the death of her mother that she was honestly surprised at her stepfather's kindness when he allowed he to go through her mother's things. I felt as though she was going to leave right away and meet her long lost relatives. Time and interesting circumstances intervened. When Michelle was introduced I wondered just what role she would play in the story. Her life never seemed to right and when she seized the opportunity to take advantage of a simple act of mistaken identity the story took off. The path she chose and the role she played in the lives of Willis and Mary Ruth's lives was amazing. She assumed the role of Sara as though she was born to it. These well developed characters will win your heart. I had to make time to finish the book because I wanted to see what happened next. Wanda E Brunstetter delivers on a regular basis and for those interested in Amish fiction, this book gives a good idea of how the simple life may not be as simple as one thinks. I look forward to the next book in the Prayer Jars series so I can re-visit this Amish church district to see what happens next. I have a feeling there more stories out there! I recommend this with 5 stars! Lately I have been reading Praying God's Promises by Linda Evans Shepherd. She has gathered up the promise verses and gathered them for us to read and re-read as we need them. You see, sometimes we need a few encouraging verses and spend time flipping the pages of our bibles for just that one verse. Linda's book is categorized by topic and I find that to be very helpful. If I want to look for verses of Joy or Direction, there is a section of verses covering those topics. While there are no discussion questions, I believe this book is a good fit for group study. Last spring as I listened to novels about promise jars or promise boxes I thought how nice it would be to have one place to find the promise verses. If we believe in God's promises, how better to spend devotional time than to read the promise verses. Many thanks to Revell books for publishing faithful books we can read and study to further our faith. 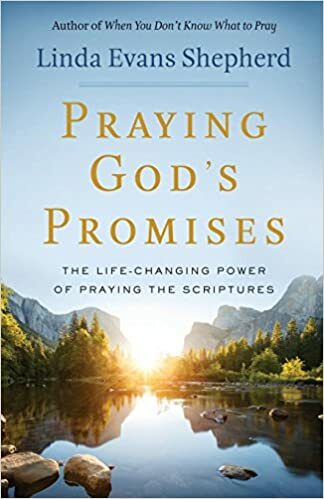 I received a copy of Praying God's Promises from Revell for an honest review. I recommend this book to anyone who longs to deepen their faith whiled studying God's word.